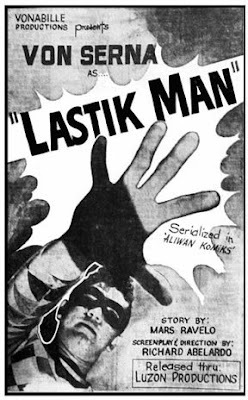 Lastik Man, a Mars Ravelo creation, was first serialized in Aliwan Komiks in 1964. 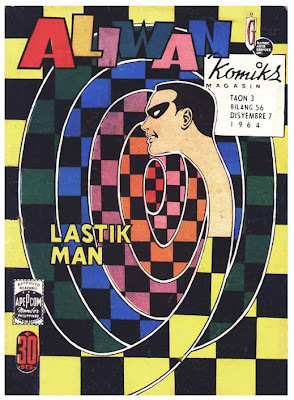 Based and patterned from the original DC comics superhero, Plastic Man, Lastik Man can also stretch, transform and reshape whatever or any imaginable forms and shapes he desires. 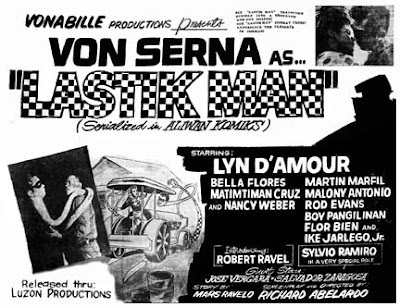 It was adapted into the big screen for the first time in 1965 with Von Serna in the title role.